The Rolls-Royce brand is one synonymous with perfection, ever since it first came into existence in 1904. These cars have been identified with luxury, power and success, not only because they are of the most expensive cars in the world, but because of what they represent. A brand founded upon the pursuit of perfection, Rolls-Royce’s sterling reputation has withstood the test of time, and continues to be one of, if not the most sought after brand in the world. One would have to be pretty confident in their ability to achieve perfection to take on the responsibility of continuing the legacy Rolls-Royce left behind to the same caliber. Over the course of its existence, Rolls-Royce has undergone quite a few ownership changes. In 1904, Henry Royce and William Rolls founded Rolls-Royce Limited, and it was then sold to Volkswagen where it was renamed Rolls-Royce Motors. 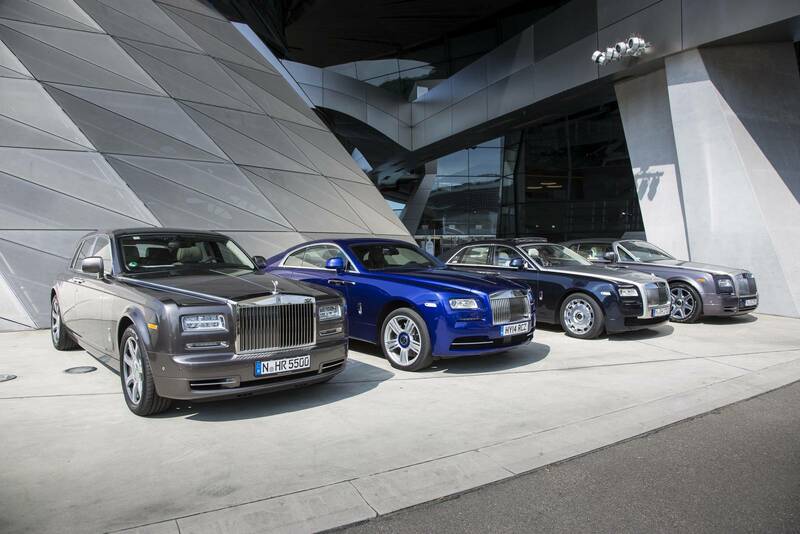 Ultimately they sold it to BMW in 1998, establishing Rolls-Royce Motor Cars Limited. It has remained a BMW subsidiary ever since. A common question, or concern is: Could the Rolls-Royce brand be diminished by being owned by BMW? Is this a good thing or a bad thing? The issue with luxury cars is that sometimes, they compromise function for beauty, paying more attention to the elegance of the vehicle rather than its functionality. The manufacturers go out of their way to make the car so exquisite and spectacular that they sometimes sacrifice usability. The benefit of the Rolls-Royce/BMW merger is that you get all of the luxury and excellence of Rolls-Royce, as well as the benefit of BMW’s drivability, forward-thinking, and service-ability, making the car far more practical and resilient. In addition, because of efficiency of BMW technology, they are able to produce more cars, and it has opened up the market to other people who will buy them. From a driver’s perspective, one of the best things is BMW put its 4-year bumper to bumper 50k warranty on all Rolls-Royce cars, making the service aspect less daunting for the buyer. Exclusivity of the brand has proven to be crucial to its success, so what does more production mean for sales and collectability? This will probably hurt collectibility on current cars, but makes pre-BMW-ownership cars even more collectable. As for sales, in 2014 Rolls-Royce Motor Cars Limited announced the highest annual sales in its history, selling 4,063 cars, a 12% increase from 2013. They recently announced their second highest every annual sales result in 2016, selling a total of 4,011 cars worldwide. Torsten Muller-Otvos, chief executive of Rolls-Royce, said: The result confirms that our strategy of balanced, sustainable and profitable growth is delivering and that Rolls-Royce remains the worlds leading luxury goods brand. So, could some of the integrity of the brand be lost with ownership change? Possibly, but we have yet to be convinced of that.